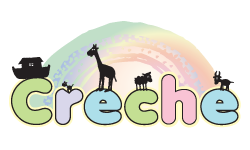 Crèche facilities for babies to pre- schoolchildren are available from the start of each Sunday morning service. This allows parents to enjoy the service, knowing their children are cared for safely. Parents are encouraged to leave their children in the Church Halls, beside the church, before the start of the service and collect them when it is finished. Adults and older teenagers look after the children in a safe, fun and stimulating environment. A variety of age appropriate toys are provided. Should your children need you during the service, we do not hesitate to come and get you.